By Marina Weber on January 28, 2016. 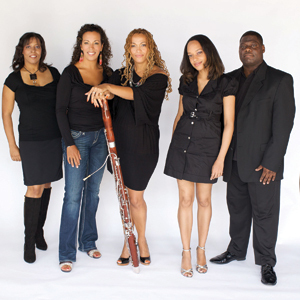 Due to the snow storm this past weekend and the subsequent closing of the Philadelphia Museum of Art, PCMS had to postpone the Imani Winds concert that was scheduled for Sunday, January 24, 2016. Fortunately, we have been able to reschedule this performance (with the same program) for Sunday, April 24, 2016, at 3:00 pm in the same venue—the Van Pelt Auditorium in the Philadelphia Museum of Art. Tickets for the original date will admit patrons to the rescheduled concert.